This dramatic and enthralling memoir details the collapse of the Soviet Union and Russia’s struggle to forge new relations with the rest of the world, by its first foreign minister. 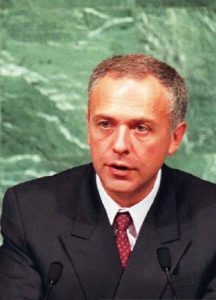 Andrei Kozyrev was foreign minister of Russia under President Boris Yeltsin in the 1990s. During the August 1991 coup attempt against Gorbachev, he was present when Yeltsin stood on a tank to address the assembled crowd outside the Russian parliament. He later participated in the fraught negotiations to dissolve the Soviet Union. But as Russia’s economy spiraled downwards in the later 1990s, the emergence of billionaire oligarchs turned ordinary Russians away from democracy and Kozyrev lost influence and office. 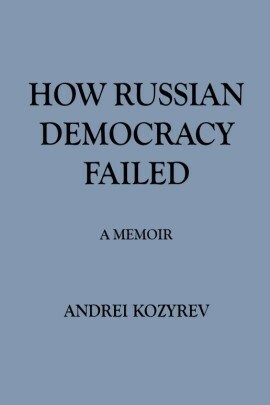 This book provides first-hand accounts of Kozyrev’s scramble to contact the US President to inform him of the imminent collapse of the Soviet Union, his experiences in the conflict zones around Russia and Bosnia, the crisis caused by the Clinton administration’s handling of NATO expansion, and his encounters with Saddam Hussein.